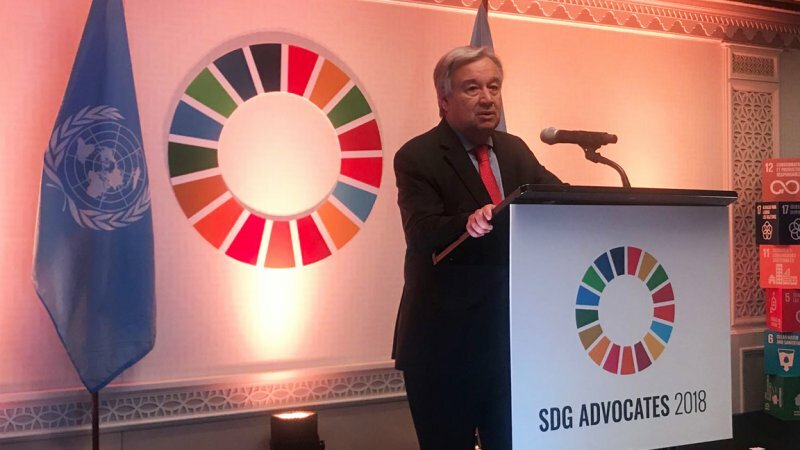 The United Nations announced today the launch of the SDG Media Compact, an initiative marking a new drive to advance awareness of the Sustainable Development Goals (SDGs). The Compact seeks to inspire media and entertainment companies around the world to leverage their resources and creative talent to advance the Goals. Al Jadeed TV-Lebanon, Aljoumhouria Newspaper-Lebanon, Annahar Newspaper-Lebanon, The Asahi-Shimbun-Japan, Asia-Pacific Institute for Broadcast Development, Association of Commerical TV in Europe, Association for International Broadcasting, Athina 9.84 Radio station-Greece, Channels Media Group-Nigeria, China Media Group, Daily Star Newspaper-Lebanon, Daily Tribune-Philippines, Deutsche Welle-Germany, Discovery, Inc., Eurasia-Azerbaijan, European Broadcasting Union, Kathimerini-Greece, LBCI TV-Lebanon, Lebanon Files News, Ministry of Information and Broadcasting-India, Naharnet News-Lebanon, National Union of Tunisian Journalists-SNJT, Nikkan Kogyo Shimbun-Japan, Nippon TV-Japan, RLL Radio-Lebanon, RRI – Radio Republic of Indonesia, Sound Diplomacy, Tass-Russia, This Day-Nigeria, TVC-Communications-Nigeria, TV-BRICS-Russia, VDL Radio-Lebanon, Ziff Davis.